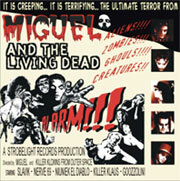 The beginnings of Miguel And The Living Dead date back to the summer of 2001. Nerve 69 began to record on his own as a one-man project in a home “studio” first songs like: „Salem’s Lot”, „Night Of Terror”, „Train Of The Dead” and few others. The band acts as a one-man project until the turn of 2002 / 2003, when musicians from Warsaw’s new wave band called Eva (R.I.P.) come with assistance. At first comes Slavik (voc. ), the next ones are Killer Klaus (bass) and the drummer Niuniek El Diablo. The band starts intensive rehearsals during which they worked out old songs with the “live” band arrangement and also the new ones. 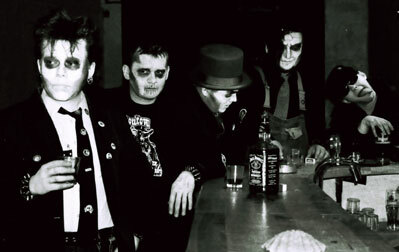 In February 2004 first live appearance took place at the Old Skull party in Warsaw. In the meantime debut demo CDR was released. It contained five Nerve 69’s old tracks recorded with vocal participation of Slavik. This record receives a lot of enthusiastic reviews all over the world. 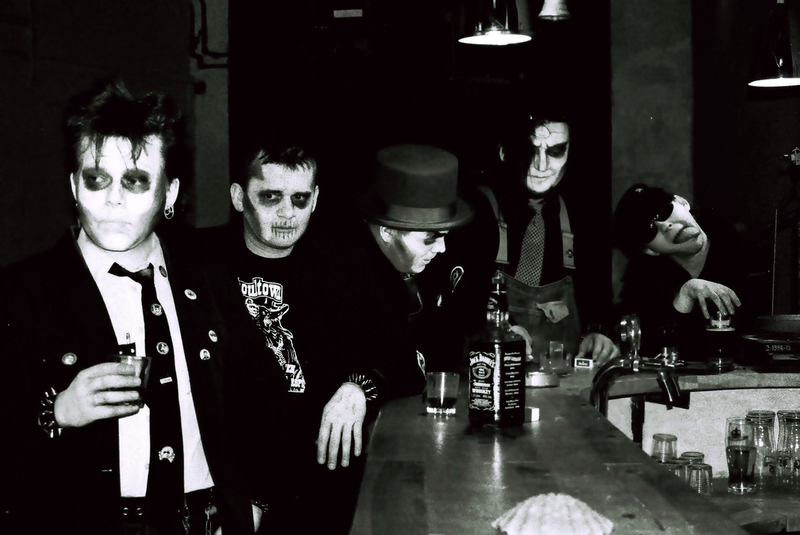 MIGUEL’s unique graveyard-goth'n'roll of the Romero kind has infected half of Europe in no time. They are the freshest rotten meat that the current goth / deathrock / neobatcave scene has to offer. Numerous gigs, including their co-headliner appearence at this year's JUDGEMENT DAY FESTIVAL confirmed their reputation as one of the most exciting European acts of today. With "Alarm!!!" the band will release their long awaited debut album in July 2005 on Strobelight Records. More gigs are planned for this year. The dead will indeed walk the earth again... and this time they will be coming from the East!